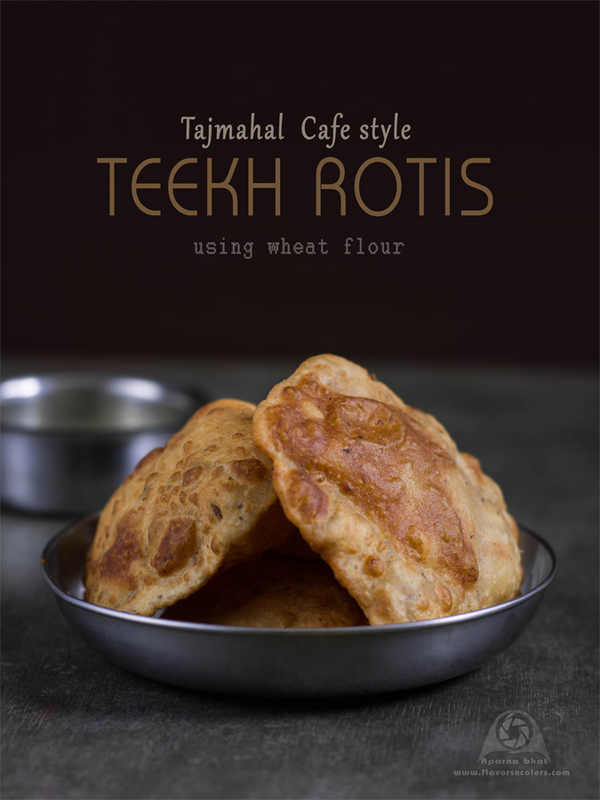 Teekh rotis is a must try dish from New Tajmahal Cafe located in Mangalore. 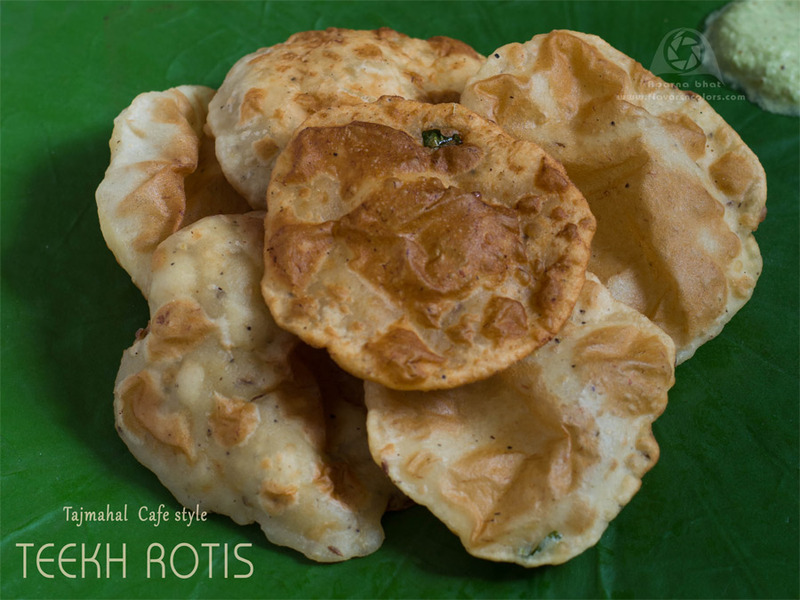 I thank my friend, Shyamala Kini for sharing this recipe of teekhrotis aka spicy puris. Mash the bananas into a wide vessel. Add curd, chopped green chilly, jeera, crushed peppercorn, salt, sugar and mix it well. To this mixture add the wheat flour, oil and knead into a dough adding water little by little just like we make for regular puri. No need to rest the dough. 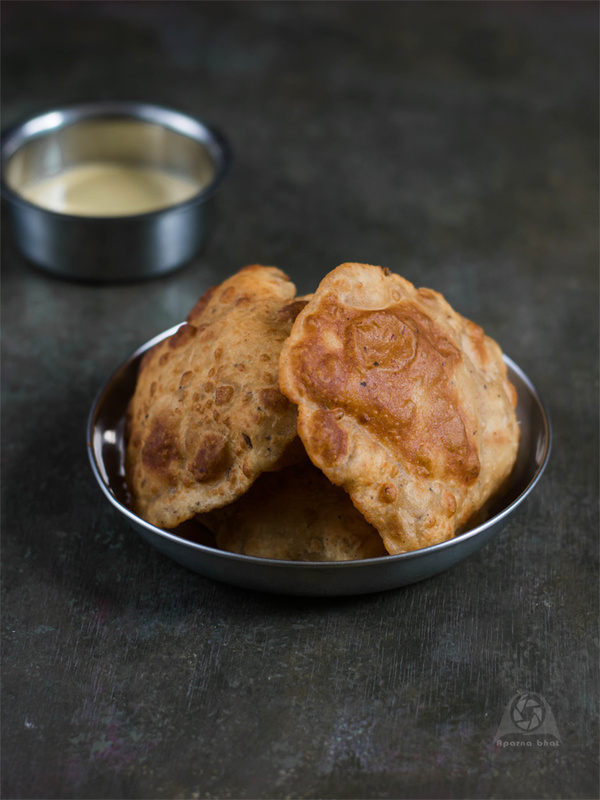 You can make puris immediately. 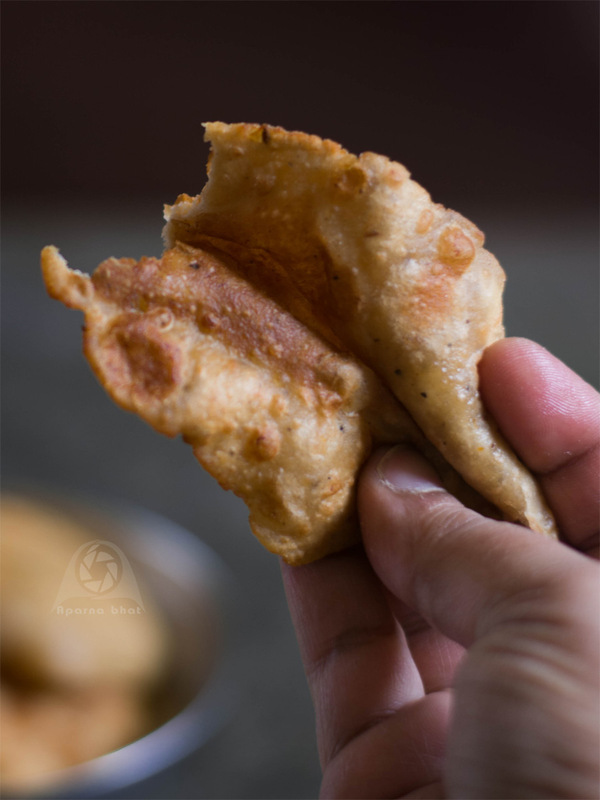 Pinch out balls from it and roll it out into small circles little thicker than regular puris and fry. Yummy teekh rotis/spicy puris are ready. Serve it hot with chutney or potato subzi.